A clue about the sacred treasures was seized, but Nobunaga appeared unconcerned about that with the Toyotomi Army’s threatening movements. Hearing a suspicious sound from the courtyard– I became anxious and went to see how things were, but Nobunaga-san found me. 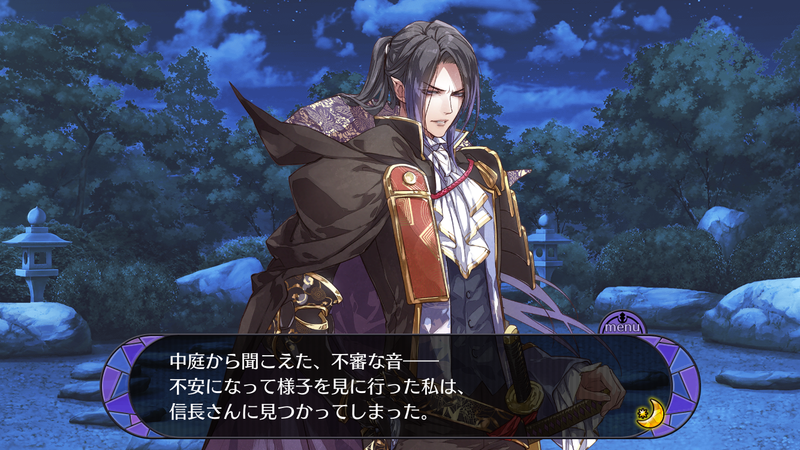 This entry was posted in Collaboration, Otome Games, Sengoku Night Blood and tagged Kadokawa, Kobayashi Yuusuke, Marvelous!, Mobile, Morikawa Toshiyuki, Otomate.